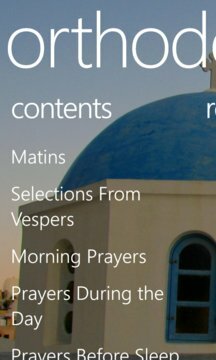 This is the complete Orthodox Christian prayer book from Holy Trinity Monastery, Jordanville, N.Y. converted to app form. 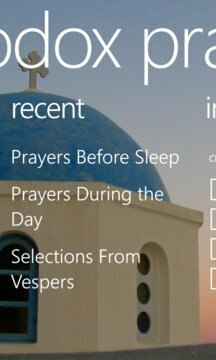 Allows you to take your prayer book with you anywhere and shows recently accessed prayers in a list. Since this app is simply a presentation of the prayer book, I have not included ads. Please consider purchasing to support development of the app. The app has all features present whether you pay or not.